Stellar Planet: Planet Question Time! 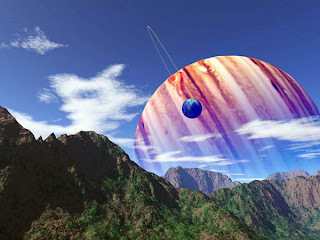 Is the order of planets in a solar system always like ours, with rocky planets close to the sun and big gas giants further away? No. 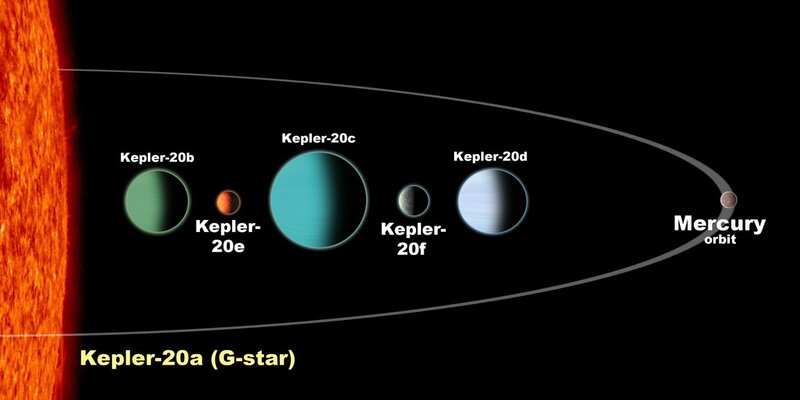 The most recent system to go against this is Kepler-20 which has 5 planets orbiting it, among them one of the most earth-like planets discovered thus far. Kepler-20 has three gas giant planets like Jupiter and two small rocky planets like the Earth or Mars, but they are arranged unlike our solar system or even unlike we imagined they could be. All five planets orbit closer to their star than Venus and they alternate in size as their orbit increases; large, small, large, small, large. 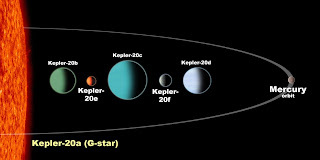 The three large planets are bigger than the Earth but Smaller then Neptune whereas the smaller rocky worlds, known as Kepler-20e and Kepler-20f, are similar in size to Earth but orbit very close to their star so have scorching surface temperatures. All of these planets orbit their star in less than 78 days, which is inside the orbit of Mercury if compared to our solar system. Do all moons have to be solid and round or can they be gaseous? A moon is a natural satellite of a planet, which can be a regular body, round like our moon, or irregular, like that of an asteroid. Mars has two moons that are irregular in shape called Phobos and Deimos; these are called minor satellites and are thought to be either remnants of larger objects broken up by impacts or captured objects. There is a vast array of different moons in our own solar system and some recent studies are even searching for moons orbiting around planets orbiting other stars. As with all current extra solar searches the larger the moon is the easier it will be to see the effects on the planetary system. Titan, Saturn’s moon, is the second largest moon in our solar system and is nearly twice as large as our own moon, it is also considered the most planet-like moon as it has a thick atmosphere and strong surface features like our own planet. In relation to its planet, however, it is still very small and although has a dense atmosphere it would have to be a lot larger to be able to sustain a predominantly gaseous body like that of a giant planet. If a moon were massive enough to retain a large gaseous atmosphere, like that seen of the larger planets in our solar system, it would have to be orbiting a planet a lot larger than itself so that the orbit would define it as a satellite of that planet and in this regime the definitions become blurry (even in our own solar system). If you have any questions on planets you would like answered post a comment below and I will see what I can do. Could there be any planetary conditions in which a moon could be orbited by its own, yet smaller moon? In theory yes they can. If you think about it the Sun, Earth, Moon system could be considered as a larger version of this; as the Earth orbits the Sun and the Moon orbits the Earth. There is a certain area around a moon that is called the Hill sphere where a satellite can be in a stable orbit. We have also sent manmade satelites to orbit around the moon so we know that it is possible on a smaller planetary scale as well as a solar system scale.